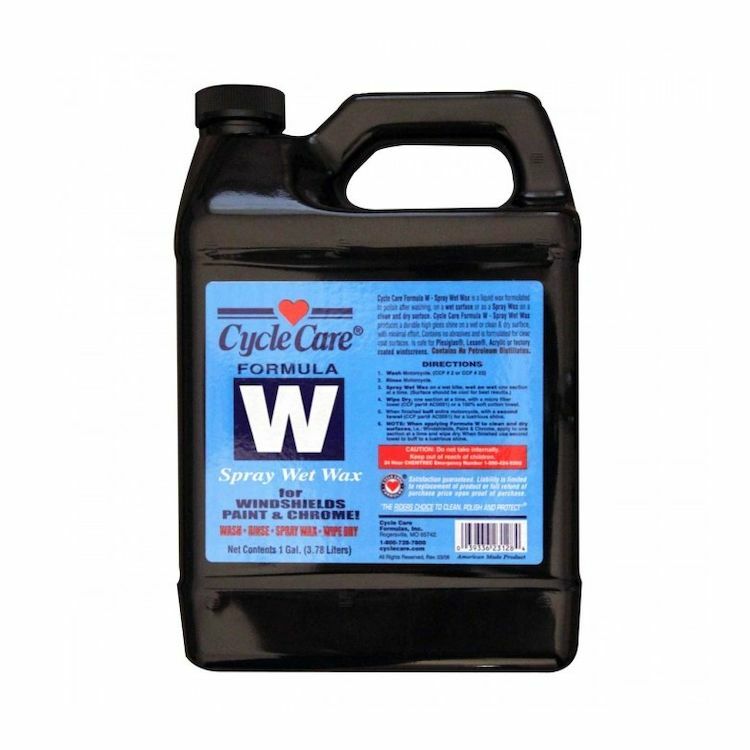 Cycle Care Formula W Spray Wet Wax is formulated to polish after washing, on a wet surface. Spray Wet Wax may also be applied to a clean and dry surface. Spray Wet Wax produces a durable high gloss shine on a wet or clean and dry surface, with minimal effort.